Zentai Art Festival 2014 featuring the comtemporary art works with theme of 'Zentai'..
Zentai Art Festival 2014 featuring the comtemporary art works with theme of 'Zentai'. Zentai is a full body tights covering whole body. Our world is too external oriented. The way we look affects in our job and personal life. Though this zentai art, we look inwards where human surface, gender, age and looks does not matter. Within ourselves, we will find something more deep and real. Anyone can wear zentai and be transformed to a super hero. We need Artist fee for artists to make their art works and gallery rental fee for showing art works. Artist fee. We need to pay the artists to make their art works. We also need transportation/accommodation for foreign artists. Gallery rental. We need to pay our festival host to host our exhibitions. Performance venue rental. The performance are happening at the theatre. Equipments and marketing. We need material like zentai suits, sound system and also marketing for the festival. Our thanksPerks are great but you don't have time for all that. You just want to see this festival get done. We understand and thanks for helping! The Behind The Scenes supporters get full access to all festival updates and behind the scenes info on the production. There will be documentation uploaded at end of each exhibitions and video at the end of the festival. We deeply thank you for your support. It is great to know that you would like this festival to happen. It makes us get going. We would like to send you festival limited edition thank you post card. 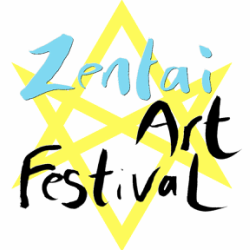 We want to thank you for your support and gratitude for the Zentai Art Festival. We want to share our passion of the zentai art with you. We would like to send you Festival limited edition bag & card. We really appreciate your support for the festival. We would like you to join the zentai art. We would like to send you Festival exclusive zentai suit, bag & card. Please inform us your height and weight for your zentai suit. We thank you for your deep appreciation to the zentai art. We would like to send you Festival exclusive order made zentai suit, bag & card. Please inform us your detail size for order made zentai suit. We would like to present you one festival art work that exhibited at the exhibition. You are part of our team! You will get all the benefits and organiser credit in festival productions. Your contribution is announced in all our publications. Zentai art is not recognised art yet in the world. It is hard to get funds from the Government or organisation . There are art proposals from the artists and artists are already making their art works. Art galleries are also confirmed to host us. Now we are working on the logistics. I am an artist working on the 'Zentai Art Project' for 4 years. I make video and performance with the Zentai suits. My project is called 'Zentai Art Project' (yuzuru.weebly.com). I want to share this 'Zentai Art' with the world. Our team is seasoned for organising art events. We have organised various art festivals in Singapore includes 'Rites' which was a series of performance art events. We are very passionate about sharing the art with the artists and audiences. We believe the art can make changes in our small life. The exhibitions and performances are free to enter. We will have festival documentation uploaded to the website for people who cannot come to Singapore. With the success of the festival, the festival will go around the world engaging local artists introducing the 'Zentai Art'.